Briggs & Stratton Corporation acquired the assets of Ground Logic in Lincoln, Neb., a designer and manufacturer of stand-on commercial spreaders and spreaders/sprayers for fertilizer and pesticide-herbicide lawn applications. 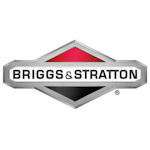 Briggs & Stratton financed the transaction from cash on hand. It expects the acquisition won’t have a material effect on fiscal 2018 earnings or cash flows, according to the company.